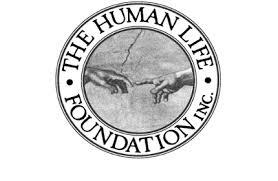 HumanLifeMatters: What gives human life value? Let me begin this blog by saying that objectively speaking, I am nobody of significance. I have no letters behind my name, no university education. Most of my adult life has been marred and scarred by degenerative disease (multiple sclerosis). It cut short my government career at 38 years of age. For so many years, I’ve watched life pass by my window as disease slowly yet relentlessly transforms me from able-bodied to paraplegic to triplegic and perhaps quadriplegic next. My MS is relentless and aggressive. I have only one limb remaining unaffected by disease (I’m typing this blog with my left hand). In short, I am what the Nazis called a “useless eater.” I am eminently qualified to speak to issues revolving around the sliding scale of human value in a bioethical era. René Descartes (1596-1650) said, “Cogito, ergo sum” (I think, therefore I am.) It was the starting point for his philosophical system. Descartes is generally considered the father of modern philosophy. He begins by doubting everything – save his own existence – and builds toward certainties. That’s how it supposed to work. Unfortunately politically correct moderns often behave as though Descartes’ starting point in philosophy was its conclusion. And that is very dangerous, not only for philosophy but real actions impacting real lives. Nowhere do we see this more plainly illustrated than in the world of bioethics, futile care and end-of-life situations or cases involving people in persistent vegetative states (PVS). To many bioethicists, comatose equals non-existence. Modern bioethicists take Descartes proposition to a next stage: They make cognition the basis of criteria for the right to live. Under this perverted bioethical criteria -- that has discarded the sanctity of human life ethos and abandoned Hippocratic medicine -- the secular bioethicist looks at a comatose patient and concludes: “He is comatose, therefore he is not thinking, therefore he falls below our new criteria for the right to exist.” The patient must produce something (thought) in order to retain the right of existence. He is starved and dehydrated to death. According to Singer’s reasoning, patients in persistent vegetative state would certainly not be considered worthy of medical treatment – even though increasing numbers of pvs patients are emerging from their comas since Singer's essay. In a 2006 British study, a 23 year old pvs woman stunned doctors by responding to certain commands asked of her. The results were displayed in brain imaging that showed more was going on in her head than met the eye. What if my multiple sclerosis begins to attack the little grey cells of my brain that control cognitive thinking? It often does with this disease. As I mentioned earlier, my MS is increasingly aggressive. What if I end up in a “locked in” state or sink into a coma as the MS ravages by brain and brain stem? It happens. Will I lose my right to exist under the Brave New World of modern bioethics?. Will the observed ability to think, or the quality of my thinking, jeopardize the status of my humanity according Cartesianism? The two statements mean vastly different things to someone like me who is slowly being destroyed by catastrophic disease. The first sets up criteria to exist, the second assumes the right to exist. The first is based upon subjective truth that worth is earned while the second presumes Objective unalienable truth that human life has a right to exist. The first statement is a proposition for existence while the second is the basis for certainty. All human life matters and has equal worth to God, not because of what we are capable of doing or achieving but simply because we exist. This is not the wishful thinking of me --a man slowly being destroyed by disease -- it is foundational to the idea of universal and inalienable human dignity and universal human rights. Peter Singer, “Sanctity of Life or Quality of Life?” Pediatrics, July 1983, pp.128-129. Brave New World was the title of a 1932 novel by Aldrous Huxley about a fabled world based upon a scientific caste system. Human beings were graded from the highest intellectuals to the lowest manual workers. This was a very good post, I enjoyed reading it. I must say that my feelings about what you have written go beyond respect... I was and am extremely impressed. In a world where so many have very small challenges and choose to do nothing, it is awesome to see and read the words of someone who has faced and continues to face very large challenges choose to do something. I salute you.